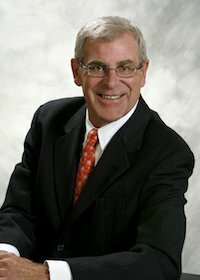 Mr. Foster's practice is concentrated in the areas of project development and dispute resolution with emphasis on construction, engineering and design, business torts and commercial matters. 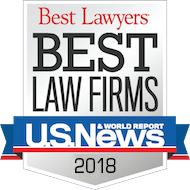 He has dispute resolution experience in both federal and state courts, AAA/1CC arbitrations and administrative proceedings and hearings. Mr. Foster also has experience in project development concerning the negotiation and drafting of turnkey and other project development agreements for numerous industrial, pharmaceutical, power generation, oil and gas and commercial projects. His practice has included representing owners (public and private), developers, general contractors, construction managers, engineers and major subcontractors in connection with a variety of multi- billion and multi-million dollar projects involving the design and construction of significant projects including LNG facilities, highways, tunnels, office buildings, light rail transit, rail spur lines, wine production and storage facility, hotel/casino, manufacturing facilities, steel mills, medical facilities, pharmaceutical facilities, coal power plants, ethanol plants, coke oven batteries, hydropower generation facilities, wind farms, solar farms and cogeneration facilities. 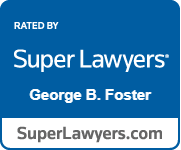 Mr. Foster also has substantial experience in conducting forensic investigations and acting as project counsel. "Protecting the Owner Against Financially Distressed Contractors Through Contract Terms"
"Making All Four Corners Count: Drafting Contract Terms that Stick to the Teflon A/E"
"Demystifying the Application of Foreign Law in a Maritime Limitation Proceeding"
Counsel for the Commonwealth of Massachusetts, through its agency the Massachusetts Turnpike Authority (MTA), for a period of approximately two years (2002-03) concerning a series of disputes on the $14.6 billion "Big Dig" project in Boston, Massachusetts. The largest dispute concerned a 70,000 gallon per minute leak that occurred at the West End of the immersed tube tunnel construction under the Fort Point Channel. This represented one of more than $100 million of claims in dispute. Following unsuccessful negotiations, the disputes were submitted to a formal mediation before two sitting judges from the Armed Services Board of Contract Appeals. The mediation process resulted in a global settlement agreement concerning all disputes on the Fort Point Channel segment of the Big Dig. The second largest dispute concerned a claim regarding excavation in front of the Federal Reserve Bank of Boston. The contractor presented a claim of nearly $30 million regarding alleged interference with its means and methods of planned excavation. The dispute was submitted to a Disputes Review Board which entered a complete defense decision on behalf of the Commonwealth. Counseling was also provided in the general areas of dispute resolution, contractor insolvency, surety law, warranties, contract close-outs, acceleration and inefficiencies, contract amendments, public contracting statutes, joint defense and tolling agreements, and schedule analysis and time and money entitlement. Counsel for the largest publicly traded independent wholesale power company in the United States for the prosecution of numerous claims (in excess of $1 billion) against gas turbine OEM. The dispute involved numerous technical issues being experienced with the operation, maintenance and reliance of several gas turbines installed of owner's generating facilities throughout the United States. Following extensive negotiations and just prior to filing a complaint in federal court, the disputes were resolved to the owner's satisfaction. Counsel for EPC contractor of 100,000 gallon per year anhydrous ethanol facility in Nebraska. Following a year of design, procurement and construction activities, the owner failed to obtain additional funding and terminated the project. Consequently, claims and mechanic's liens in excess of $50 million have been asserted against the owner and the project's assets. Proceedings involving the mechanic's liens and claims are currently pending in the District Court of Thayer County, Nebraska. Counsel for owner involving claims against design/builder of a modular meninge vaccine manufacturing facility. Owner contends that the facility is flawed with numerous design and construction defects and deficiencies. Because of the defects and deficiencies, the owner has been unable to manufacture any vaccine products. A Request for Arbitration has been filed with the International Chamber of Commerce. Arbitration proceedings in Stockholm are pending. From 2004 to 2007, involved ongoing advice to the MTA on a variety of issues, including acting as co-counsel in a property damage action against multiple defendants arising out of a tunnel ceiling collapse as well as related insurance coverage matters. Counsel for design/build contractor in AAA arbitration and related civil action state court proceedings and appeals. The underlying arbitration concerned the owner's claim for $5.5 million arising out of the design and construction of a 120 TPH billet reheat furnace. Mr. Foster represented the design/build contractor. The owner argued that the furnace was defective as designed and that it failed to achieve certain performance guarantees. The design/build contractor argued that the reheat furnace was designed and built pursuant to the owner's specification and, further, asserted a counterclaim for damages in the amount of $1.4 million. After over 30 hearing days, the arbitration panel denied the owner's claim and awarded the design/build contractor $1.2 million. Counsel for general contractor involving a claim against Amtrak over the design of a static frequency converter station in Queens, New York. The case involved a cardinal change to the project due to a complete re-design which was necessitated by a change in technology. After several months of court-ordered mediation the case settled. The general contractor received a payment of $4 million. Counsel for design/build contractor in state court civil proceedings. Mr. Foster represented the turnkey design/build contractor related to a coke oven battery rebuild project located in Burns Harbor, Indiana with a value of US $160.0 million plus DM 46.0 million. The owner claimed that the battery was defective as constructed in that its projected useful life will be less than one half of that which was expected at the time of contracting. The case involved numerous technical and legal issues related to both liability and damages. Cumulatively, the parties had over twenty (20) expert witnesses on a variety of subjects including finite element analysis, laser survey techniques, coal blend analysis, detrimental impacts from operational practices and damage valuation methodologies. The turnkey contractor also instituted an action against its all risk, COL and professional indemnity insurance carriers seeking coverage in the event the owner was able to establish liability and resulting damages. The parties engaged in a lengthy mediation process and the case settled just one month prior to trial. Under the settlement, the turnkey contractor paid nothing. Additionally, after exceeding its SIR, the turnkey contractor was reimbursed all of its outside legal fees, expert witness fees and its in-house fees, overhead, expenses and costs for all employees assisting in the defense of the case. The settlement further provided that the turnkey contractor was entitled to a lump sum payment of $2,000,000 from its professional indemnity insurer. Lastly, the turnkey contractor reserved all of its rights to pursue any and all claims that it has against its CGL carrier. Counsel for contractor in federal court civil proceedings. Mr. Foster represented the construction contractor against the EPC contractor on this 250 megawatt cogeneration project located in Cottage Grove, Minnesota. This case related to nonpayment following a termination for convenience. The construction contractor asserted claims of $6.0 million and the defendants asserted counterclaims of $2.0 million. The dispute centered on the pricing formula contained in the guaranteed maximum price contract with a sharing of cost underruns and overruns. At the close of discovery, the case settled favorably to the construction contractor after a motion was filed on its behalf to amend the complaint to assert claims of fraud. Counsel for construction subcontractor in a series of arbitrations and related court proceedings relating to the Tenaska III, Inc. cogeneration facility located in Paris, Texas. This 250 megawatt facility included 2 GE Frame 7 EA CTGs, 1 GE 90 MW STG and 2 Deltak HRSGs. The disputes related to underground conditions, bonus payments, retainage, extra work, contaminated turbine lube oil system and related matters. Mr. Foster represented the construction subcontractor against the turnkey EPC contractor. After obtaining 2 favorable awards and a court injunction requiring the contractor to post a bond in the amount of the construction subcontractor's total claims, the EPC contractor paid $5.4 million to the construction subcontractor. All claims were prosecuted and payments received in less than 18 months. Counsel for design/build Contractor in AAA international arbitration and related federal court proceedings. The underlying arbitration proceeding involved design and construction of a $200 million continuous annealing line. Mr. Foster represented the turnkey contractor first in closing out the project with the owner and then against the French engineering subcontractor on claims of professional negligence. Despite a limitation of liability clause in the contract limiting the engineer's liability to FF 3.0 million, the claimant received a gross award of US $6.0 million. The award was paid promptly following the institution of enforcement proceedings under Chapter 2 of the Federal Arbitration Act. Counsel for owner in AAA international arbitration involving the $500 million renovation of an existing shipyard. The arbitration proceeding involved a claim of approximately $11 million by the design and supplier of a goliath gantry crane and two slewing cranes. Following discovery and requests for interim relief, the equipment supplier settled for approximately 10% of the amount sought and with the owner retaining 50% of the contract's balance. Counsel for contractor in drafting and negotiating EPC contract and related agreements for the design and construction of an LNG facility in Nigeria in excess of $6 billion. Counsel for contractor in drafting EPC contract and related agreements for the design and construction of an LNG facility in Angolia in excess of $3 billion. Counsel for contractor in drafting EPC contract of an LNG facility in Peru in excess of $2.5 billion. Counsel for owner in drafting and negotiating EPC contract and related agreements for the development of a coal-fired power plant in excess of $1 billion. Counsel for owner in drafting various agreements for the design and construction of a new hot strip mill in excess of $1.25 billion. Counsel for owner in drafting and negotiating equipment purchase contract, long-term maintenance agreement and parental guaranty for wind power turbines related to the development of a wind farm project in excess of $250 million. Counsel for owner in drafting and negotiating EPC contract for the design and construction of 25 mile railroad spur, bridges and road crossings. Counsel for owner in drafting and negotiating EPC contract and related agreements for the design and construction of an influenza facility. development and the construction of a manufacturing facility for medical devices. Counsel for operator in drafting and negotiating numerous operational and long-term maintenance agreements for several electrical generation facilities throughout the United States and Canada. Counsel for owner in drafting and negotiating various equipment purchase contracts and contract services agreements for gas-fired combustion turbines for the development of energy centers with a value in excess of $300 million per energy center. Counsel for owner in drafting and negotiating EPCM contract for the retrofitting of existing influenza manufacturing facility subject to federal funding. Counsel for owner in drafting and negotiating EPC Contract for the design and construction of a bleach manufacturing facility. Counsel for developer design builder in drafting and negotiating Pre-Development Services Agreement for a public-private-partnership for a toll road project. Counsel for owner in drafting and negotiating numerous agreements for the supply of technology and equipment and the design and construction of facilities for a desulfurization project. Counsel for owner in drafting and negotiating various agreements for the design and construction of a new hospital wing. Counsel for owner in drafting and negotiating various agreements for the design and construction of a titanium sponge production facility. Counsel for owner in drafting various buildout and renovation contracts for commercial banking centers. Counsel for owner in drafting and negotiating design and construction contracts for the development of a chemical research facility with the use of public funds. Counsel for owner in drafting and negotiating design, construction and construction management contracts for new construction and renovations to a university campus. Represent owner in developing and drafting various standard form contracts for equipment purchases, design services and construction projects in connection with the renovation of a shipyard and the construction of commercial container vessels. Represent owner's representative in drafting standard form agreements for management and consulting services for a variety of projects. Counsel on several projects for various owners and contractors in drafting and negotiating revisions to AlA Standard Form Contracts and General Conditions. Counsel for public owner in the re-negotiation and work-out of fourteen (14) prime contracts involving a mega infrastructure project.